From small dreams of local action for birds, bigger projects can grow! In 2015 a very keen group of local naturalists, birders and conservationists decided to form the North Yorkshire Turtle Dove Project. Our vision was to collect accurate data as quickly as possible on our local population within the Great Yorkshire Forest with a view to using the results to help this very special bird. A year later our success led to a new Heritage Lottery (HLF) project. A strong partnership was forged between North York Moors National Park (NYMNP), Forestry Commission (FC), North and East Yorkshire Ecological Data Centre (NEYEDC), Howardian Hills AONB, Royal Society for the Protection of Birds (RSPB) and Scarborough Borough Council (SBC). The project area now covers a total of 100,000 hectares from Scarborough to Helmsley and down beyond Ampleforth in the AONB. The surveys started in 2016. In 2017 we collected data from formal surveys and additional records resulting in over 250 individual birds reported to the project in that year. From these totals we estimated a minimum of 50 breeding pairs within the project area. In the rest of the north of England there may now be fewer than 50 pairs which is a good indication of how important our project area is. Where Can You See Turtle Doves in North Yorkshire? In spring this year we were surprised and excited to welcome our first singing bird back on the very early date of the 6th April. In May up to four Turtle Doves arrived back at Sutton Bank NYMNP Visitor Centre. They can be best seen feeding around the bird tables at the back of the centre early morning or late evening. In 2017 we found up to three singing males in the nearby forestry plantations. If you have a farm or are in control of land, big or small and you have an area which could be managed to improve feeding and/or nesting habitat we need to hear from you. 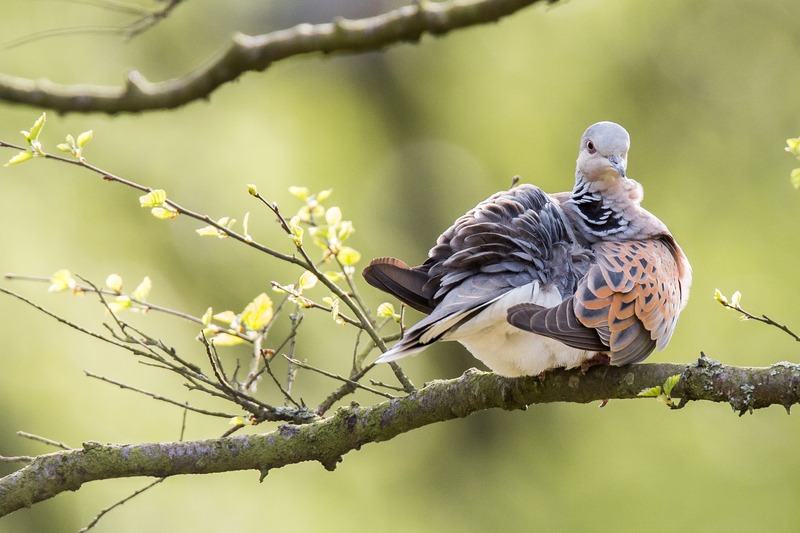 The NYMNP with advice from RSPB and Natural England have designed a Turtle Dove specific six year annual grant to fund flower rich sown plots of land which will provide food for Turtle Doves. Alongside these plots we will also be creating fallow unsown areas to encourage naturally regenerating scarce arable plants in partnership with the Cornfield Flowers Project. The sown and unsown areas will not only provide food for the doves and farmland birds but also for many invertebrates. If you think you may have a suitable patch of land within the NYMNP please get in touch with us. We would also like to hear from anyone with a suitable plot within our project area but outside the NYMNP as we may still be able to fund a special seed mix and provide advice on applying for other land management grants to ensure the plot you create can be sustained in the long term. Turtle Doves love feeding on native seed from an autumn sown mix, flower rich arable field margins or wild flower grasslands with lots of bare ground. Helping to increase these areas of habitat will also restore the vibrant colour to our local countryside and help a whole range of other plants and animals. If you want to get in touch or see a Turtle Dove in North Yorkshire please email us at conservation@northyorkmoors.org.uk or phone the National Park office at 01439 772700.